Couldn’t believe it when it turned into a huge mathematical cluster to convert units of irradiance or spectral irradiance as used in models to radiance as used in measurements. Rather than get into the intricacies of spherical harmonics, figuring steradians, and guessing the aperture sizes of the instruments, we offer here a quick and dirty conversion based on rubber sheeting images to match the Planck Constants. 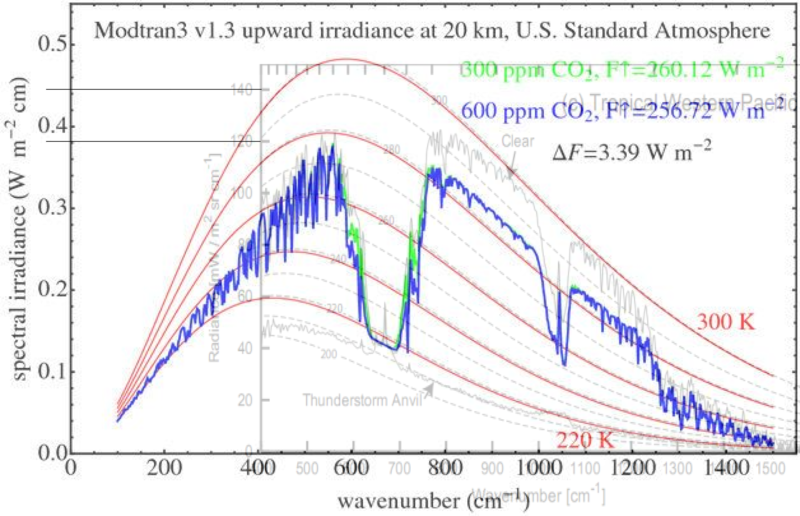 This entry was posted in Climate, Radiance and tagged Irradiance to Radiance. Bookmark the permalink.